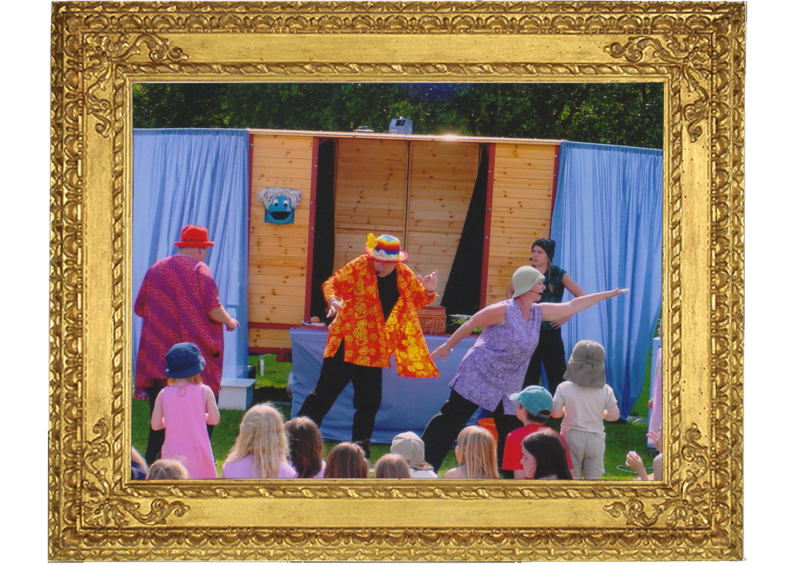 Our outdoor theatre provides interior space for costume changes, a drop down floor allowing for more stage height, two opening windows plus a screen at the front that can transform the unit into a puppet theatre. For all booking information please click here. ﻿﻿A mini theatre in a very large box, Blue Moon Theatre Company's "Theatre on Wheels" is a unique and eye catching mini theatre, ready to roll onto any school field, playground, festival site or street corner. 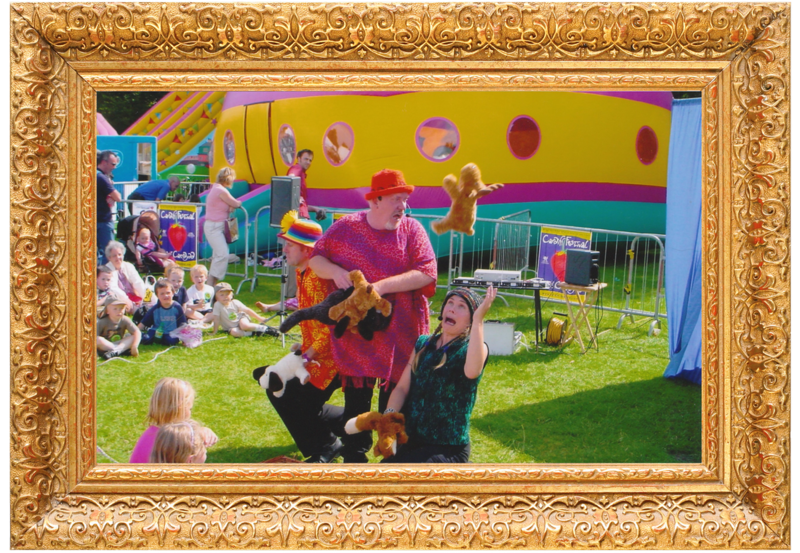 Beautifully compact, it provides a charming venue for performances of our family shows (British weather permitting). TECHNICAL REQUIREMENTS: Our mini theatre trailer is 8ft high, 15ft long & 4ft wide. The total area needed when set up (incl. backstage space and performance area in front) is 18ft diameter. We travel with our own PA system and radio mics. Access to power supply is required.